To say you like Pop music is no different than saying you like Ice-Cream. It’s a generalization, that doesn’t say much. Are you Peanut Butter Cup, Cookie Dough or Phish Food? Pop = popular, and therefore the sound of pop music is changing every day. What’s popular today, may not be next year. Fret not, some staple sounds seem to have stood the test of time or look to be, and this article will be exploring exactly that. Whether it’s the Bruno Mars dry, unprocessed pop drum sounds and grooves you crave, or the more Electronic Dance Music orientated, this article has you covered. Below is a short list of the pop drum samples we talk about in this article. Scroll down for more details or click for audio demos. What do Michael Jackson’s “Billie Jean”, The Bee Gees’ “Staying Alive”, Lady Gaga’s “Pokerface” and Bruno Mars’ “Uptown Funk” have in common? Not only are these tracks all infectious, but they all use the four on the floor. Enter Loop Looft’s Four On The Floor Bundle. Eighteen sessions worth of eighteen sampled drum kits, this bundle provides an enormous range of live drum kit grooves. This steady kick drum pulse has been the ‘rhythmic glue’ in popular music of the last 100 years. Whether you’re working with jazz, R ‘n’ B, funk, pop or EDM, you’ll find that kick drum works when consistently hitting the beat. Breakdown your favorite pop song. Can you hear an 808? Can you also hear a live drummer? This blend of synthetic and humanization creates the ultimate PHAT rhythm section. This collection is 992 loops and samples, with tempos ranging between 84 – 132bpm to cover all your pop needs. The REX2 functionality allows easy splicing and editing of each of the loops to further bend the loops to suit your track. 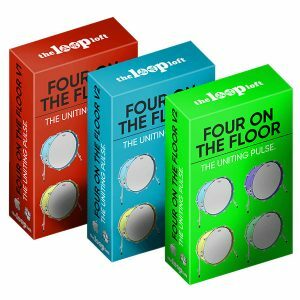 Hypnotize your audience with the effects of Loop Loft’s Four On The Floor and groove your way to the top. 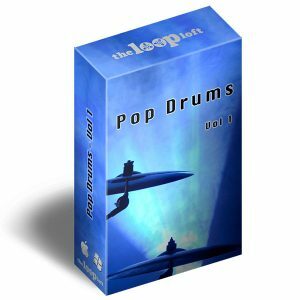 Loop Loft’s Pop Drums Volume 1 is a set of crafted drum loops, aimed explicitly at pop songwriting. Eight separate sessions and six unique drum kits, this collection of sounds cover a wide range of tempo and sonic flavors to help inspire, while still providing flexibility. With tempos ranging from 75 – 179bpm, this pack has you covered from downtempo ballad, to the more up-tempo style of pop-punkers 5 Seconds of Summer. Each session contains a large variety of grooves tailored toward different song sections, as well as a range of drum fills to tie them together. Listening to the loops, it becomes clear that the processing differs between them. Where dry and unprocessed, Pop Drums sounds like a collection of well-recorded flexible samples that can be mangled into whatever state the production requires. Whether you’re looking for phat Led Zeppelin-styled snares or crying out for the high tuned piccolo snare of The Police, this pack has it all. The out of the box grooves are inspiring, serving as a brilliant starting point for any pop songwriter looking to add drum grooves during writing. Though not as diverse as the Four on the Floor Bundle, the 147 drum loops are perfect for beginners wanting to dip their toes into live drum loops. Four on the Floor is also useful for the more experienced producer needing a loop for inspiration. The REX2 functionality of these loops once more makes editing a breeze, furthermore demonstrating the flexibility and power of the Loop Loft’s packs. West Coast representing. 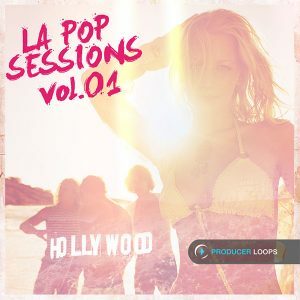 LA Pop Sessions Vol. 01 from Producer Loops captures the vibe of West Coast Pop in five radio-ready construction kits. This collection was captured in some of Los Angeles’ most beautiful recording studios, bringing the American Pop sound dominating the airwaves, straight to your machine. Bold basslines, huge snares, modern sounds and real guitar licks, supplied in a variety of formats. Regardless of your software of choice, this versatile collection of sounds is a one-stop shop to crafting instant pop hits. Each construction kit features a range of one-shot samples. These one-shots allow new beats, fills and loops to be created to complement the existing material. If you’re more of a drag and drop producer, the dry/wet samples included are perfect for you. The wet loops are a series of processed sounds, instantly interjecting the production sensibilities of West Coast Pop into your track. If you prefer tweaking, dry loops are also provided. There are also un-looped riffs/tails included, to allow you to end a loop with the decay of the processed sample. The inclusion of MIDI files is an enormous strength of this package. The majority of musical phrases heard in each kit are provided in MIDI format. This allows you as the producer to retrigger the MIDI with your software samplers and synthesizers of choice. Combining the high-quality programming by the Producer Loops team with your own sonic signature. Summer Pop tunes are sickly sweet, drizzling in Ibiza dancefloor influence. 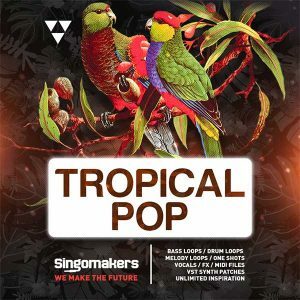 Singomakers Tropical Pop is a sample collection brimming with summer vibes. Crafting Tropical Pop, Tropical House, Classic House, Reggaeton or just want to add the warmth and soul of the summer into your music? Then this is the sample pack for you. The pop samples have been recorded at tempos ranging between 105 – 120bpm, giving you the perfect foundation for sunny dancing. All samples were tracked using the highest quality hardware; both studio and synthesizer, to bring you a stunning sounding selection. All drum hits, synths, and loops have been processed to maximize punch and warmth. Find the sample you want, drop it into your track and move on! As well as the massive collection of loops and one-shots, there are also a series of MIDI loops. These MIDI loops allow you to retrigger melodies using your own synth patches. The loops are REX2 compatible, making chopping and moving beats a breeze. Singomakers have also provided 7 software sampler patches for Battery, EXS24, Kontakt, and NNXT, and 20 synth presets for Native Instruments Massive. The number of custom patches available to use within your DAW allows full flexibility and customization of the Tropical Pop sound to suit your compositions. Load up one of the soft sampler patches in Battery, and start hitting your pads to craft the foundations of the next Tropical Pop smash. If you’re trying to craft the next Diplo, Calvin Harris or Major Lazer smash, this is the pack for you! Though, with the popularity of those mentioned, you’d be foolish not to invest and keep up with the arms race. 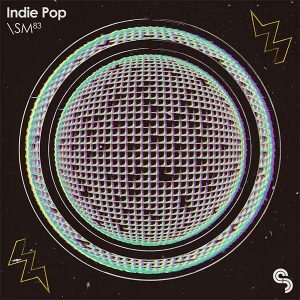 SampleMagic’s Indie Pop is a melting pot of Indie Rock, Synth Pop and Underground Electronica, colliding to bring loops, MIDI, hits and kits to your hard-drive. A stew of House, Techno, Electro, Post-Punk and New Wave influences. Transform your stagnant, generic Topman indie with vintage drum-box beats, scuzzy guitars, dirty live and metronomic synth bass, and retro 80s synths. An Indie disco with a recognizable Do-It-Yourself vibe. All loops are tempo-synced at 115 or 123bpm and are key-labeled where applicable. 40 dancefloor bursting drum loops offer full, stripped, variant and percussion only versions for complete flexibility. The percussion loops contain drum machine hats and claps, live snares, shakers, and tambourines, adding loose grooves to your productions. The FX folder combines heavily processed drum hits with circuit-bending one-shots, 8-bit elements, and sweeps. Combine a tasty drum loop with a loose percussion loop to create a phat rhythm section. If you need more impact, why not try layering FX sounds on particular beats, or to introduce a new section? If your drums still aren’t sounding right, layer up the loop with the 200+ individual drum hits available as part of the package. Bass loops are available as both live bass; gritty from stomp boxes and synth bass; packed full of analog warmth. Each bass loop is accompanied with MIDI variants, to allow you to trigger your own synth bass sounds. The guitar loops are instant Johhny Marr. Drag and drop a jangly riff and witness your inspiration spread like wildfire. Guitar loops are key labeled for convenience. The synth loops cover a wide range of Indie essentials. Whether it’s anthemic or atmospheric, there’s a loop in here to suit the mood you’re after. 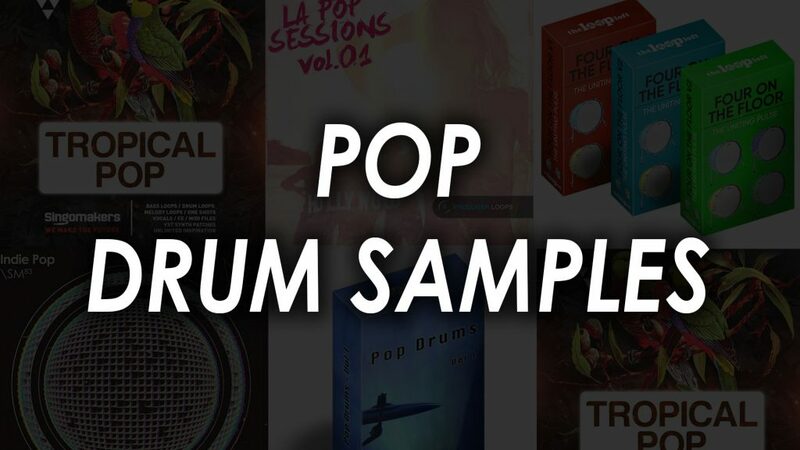 This pop drum sample collection is enormous. 3.79GB of loops, MIDI files, one-shots, and patches make Indie Pop an essential for anybody creating left field guitar-based music. If you’re trying to craft the next Imagine Dragons or Arcade Fire-influenced smash, this is the perfect package. There are 5 custom drum kits for Maschine 2, NN-XT, Ableton Drum Rack, EXS24, and Battery, as well as 24 drum sampler patches for Kontakt, Ableton Drum Rack, EXS24 and NNXT. The versatility for programming these Indie drums using MIDI within your soft sampler of choice is second to none. Load up your favorite patch and sequence an Indie Pop beat to echo around Universities and Colleges across the globe. The complexities of Pop Music have only been scratched upon in this article. With its everchanging sound, recommending Pop specific drum samples is difficult! Whether you want the Nu-Funk sound that captivated the airwaves through Bruno Mars, Daft Punk and Maroon 5, the Indie sound popularized in the late 80’s/early 90’s and reignited by the likes of Taylor Swift, Carly Rae Jepson and Ryan Adams or floor filling EDM from the likes of Justin Bieber, Rihanna and One Direction, there’s a sample library in this article for you. Spend time thinking about what it is you want to achieve with your next pop hit. Are you just needing a groove to write along to? Do you want MIDI so that you can imprint “your sound” on “their music” or are you just wanting a eureka drag and drop spectacular? Whatever it is, spend time listening to the demos on each packs website. Analyze how they sound now, how they can work for you and what you’d do to make it work even further.